If I told you I didn't remember who Kee Marcello was, you'd probably raise an eyebrow and be baffled. But I have a perfectly good excuse. I was never fond of Europe, the band that made him famous, not least for their massive poodle hair. But the poodle hair days are gone for Marcello as is the Scandi melodic metal rock. He returns with his fourth solo album Scaling Up. For sure Marcello's music doesn't anything like Europe. (Yet he did grab two songs from the Prisoners In Paradise demos, Wild Child and Don�t Know How To Love, which he re-arranged and re-recorded.) 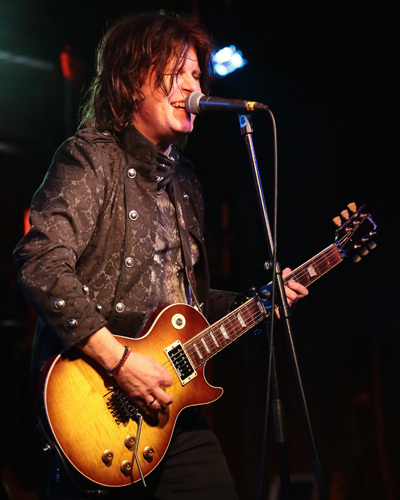 Marcello's sound turns more on classic melodic hard rock, touched with a taste of blues and more than a little AOR accessibility. After these things the songs revolve around his voice and sweet guitar licks. The songs are a good mix of styles. There's some driving rockers with Black Hole Star, Soldier Down, and Good Men Gone Bad, the last having a latent blues feel. That feeling comes more developed within Fix Me and Wild Child, making them to the best songs here. Milder stuff comes with ballads Don't Miss You Much and Don't Know How To Love No More. The last song on the album, the definitely heavier Blow By Blow has a Eighties Sunset Strip sleaze rock groove going on. As I said, there's some variety and Marcello can craft some fan rock songs. His voice is fine form, and his leads classic yet also fiery and flashy. 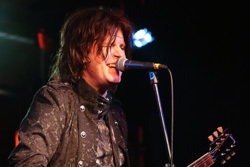 Fundamentally, Kee Marcello's Scaling Up is simply a strong and entertaining album of classic melodic hard rock. It made it easy to forget about Europe once more, too. Grin. Easily recommended. 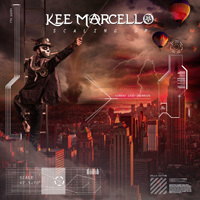 Kee Marcello's Scaling Up is simply a strong and entertaining album of classic melodic hard rock. It made it easy to forget about Europe once more, too. Grin. Easily recommended.